What's this guide all about anyways? Feeling a little lost as you start to compile your first 510(k) submission? There is all this information out there to try and help you, but it can be overwhelming trying to sift through.There are guidance documents and checklist and articles galore, but at times it feels like it’s written in a foreign language. And you likely already know up to 69% of 510(k) submissions are rejected their first time. Maybe you’ve already had yours kicked back to you once or twice. The Ultimate Guide to 510(k) Submissions aims to put the requirements in easy-to-understand terms and includes some helpful, actionable and practical tips you can begin to implement immediately. 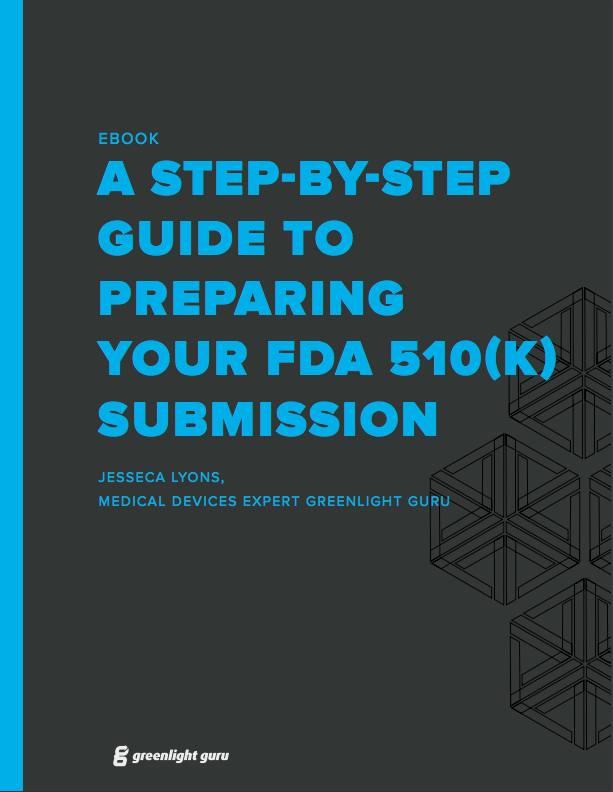 The goal of this guide is to provide you step-by-step guidance through each part of the FDA 510(k) submission process and help improve your time to market. Throughout the guide you’ll notice we’ve grouped certain sections of the 510(k) submission together. These sections are typically related and tend to be focused on similar topics. It’s also easier to bite off smaller chunks than to try and tackle it all at once. Without further ado, let’s jump into the first group. There are going to be several sections of your 510(k) submission that are going to revolve around forms or templates that you get directly from the FDA. The first two sections of your 510(k) submission consist entirely of FDA forms for you to complete. Section 1.0 is the Medical Device User Fee Cover Sheet (FDA Form 3601) and Section 2.0 is the CDRH Premarket Review Submission Cover Sheet (FDA Form 3514). Seems pretty straightforward right? There are a couple of things that you’ll need to keep in mind. First and foremost – make sure you’re using the current revision of the form. If you’re preparing several 510(k) submissions, you’re going to want to save yourself time and download a copy of the form. Just make sure that before you go to use it, that it’s still current. Second – make sure you’re using Internet Explorer and have the latest version of Adobe Acrobat. You might be wondering why this matters. If you try to access FDA forms in another browser, it’s not going to work. If you try to open the saved pdf file in another reader, it’s not going to work. Instead of pulling your hair out trying to get forms to open with something else, download them now. You might only use them for viewing files from the FDA website, but at least they’re free to download. Now that we’ve gotten that out of the way, it’s time to get into the forms in more detail. The Medical Device User Fee Cover Sheet is now actually only available online. You will need to register with the FDA to be able to view it. In all reality, it’s just a receipt of payment. It contains basic information and type of submission. All you need to do is include a copy of it as section 1.0 in your submission. 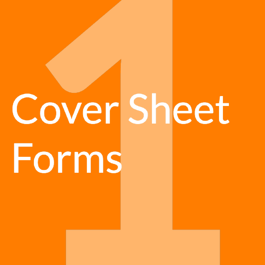 The FDA provides detailed step-by-step instructions on how to create you cover sheet here. As far as first sections go, that wasn’t so bad – was it? The CDRH Premarket Review Submission Cover Sheet is a little more involved. It’s about 5 pages long and contains 9 sections. The first few sections (sections A – D) are straightforward. It’s basic information about the type of submission, reason for submission, and applicant. It can start to get a little more complicated after that. When you get to Sections E and F, take a few moments to read and re-read the form. Section E is asking about the PREDICATE device. Section F is asking about YOUR device. The big problem? The two sections run together. There is a black line separating them, but there’s no white space to help you out. It’s not uncommon for people to put the predicate device name in section F instead of their product name. Congrats, you’ve officially made it through the first two sections of your 510(k) submission! Go ahead and create a folder on your computer to start organizing everything now. Take those forms and put them in folders labeled section 1.0 and section 2.0. It’s also a good idea to go ahead and create the cover sheets for those sections now too. Get organized now (you’ll be glad you did later) and then let’s move on to the next sections. Section 3.0 is exactly what it sounds like. It’s a cover letter with some basic administration information, the basis for the submission, and a table providing information on the design and use of the device. It should be kept fairly straight forward and to the point. In all reality, it’s going to be one of the last documents you create as part of your submission. Any FDA document numbers associated with prior formal correspondence with FDA (e.g., IDE, pre-IDE, 510(k), PMA, request for designation (RFD)) related to your device. After the initial forms and cover letter, come some very important sections. Section 4.0 – Indications for Use statement (FDA Form 3881) and Section 5.0 – 510(k) Summary are what you will find if you go searching the 510(k) database. That means the summary document you created will be out there for everyone to see. That’s why these sections are so important. The tricky part is in the actual content of your indications for use statement. This is a key component of your submission. You have to prove substantial equivalence of the indications for use between your device and the predicate device. You’re going to be tempted to get more specific than the predicate device. You might be thinking about ways you can better market your device if you can claim it’s intended for use in a specific way. You might even be thinking that you can do less testing if you get more specific. Unfortunately, it doesn’t exactly work that way. The level of specificity needs to match between your device and the predicate device. If you get more specific, you may raise questions on safety and efficacy of the new device and need to provide additional testing. Or you may get told by the FDA to change your indications for use…or even to pick a new predicate device. Either way, it can mean a longer time to market. 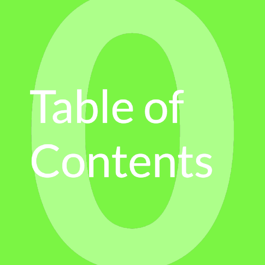 While there’s no set form for section 5.0, you are required to provide certain information in the 510(k) summary (Hint – that content is spelled out for you in CFR 21 Part 807.92 with more clarification in this guidance document). The whole goal of this section is to be a summary of the rest of your submission. A lot if the information from the cover letter is going to be included, as well as a summary of the substantial equivalence comparison and of the testing that was performed. It’s the Reader’s Digest version of your entire submission. As I mentioned earlier, the FDA makes this summary public within 30 days of the decision. So, you’re also walking a fine line not to include too many details and still meet the FDA’s minimum requirement. Now that we’ve gotten all of the introductory pieces out of the way, there are 4 templated sections to get through before getting into all the details of your proposed medical device. These sections are going to be fairly straightforward. Section 6.0 – Truthful and Accuracy Statement is exactly what it sounds like. It’s a statement that certifies that all of the information included is truthful and accurate and that nothing has been omitted. To make it even easier for you, the FDA has provided you with the exact content of the statement. Don’t forget the lessons you learned in Group 1, the following sections contain forms and the same guidelines still apply. If your device type is a class III, but does not require a PMA, you’ve got a bit more work to do for this section. Once again, the FDA has provided you with a statement to start the section. After that, you’ll need to provide a summary of the types and causes of safety/effectiveness problems and the data to back it up. And once again, if you did perform clinical studies, the FDA has very kindly provided the forms for you to use. You might notice that this section is titled Financial Certification or Disclosure Statement. That’s because there are two different forms that you might need to use. The Financial Certification is used if you did not pay the clinical investigators enough money that it might impact the results. It means that outside of paying for the costs of the study, there was no equity interest or payment of another kind (such as a grant) given to the clinical investigators. The Disclosure Statement is used if you did pay the clinical investigators. Part of that form includes submitting the details of how you mitigated any bias. Section 9.0 – Declarations of Conformity and Summary Reports is going to vary in length and content, depending on your medical device and the type of 510(k) you are submitting. If there is a guidance document for your medical device or you followed a recognized standard for designing or testing your device, this section is where you that information. For each standard that you followed, you should include a declaration of conformity (identifying the standard and whether you followed it as-is or had deviations). If you followed a device specific guidance, you should include a summary report of the testing. The FDA does give you the option of including a statement about testing that will be conducted before marketing the device as well. Use that last option sparingly. Note: This is especially important if you are submitting an Abbreviated 510(k). Why? Because an Abbreviated 510(k) is when you declare conformity to recognized standards or provide summary reports showing conformity to a guidance document to streamline the review of the 510(k) submission. If you noticed, we didn’t just tell you to leave sections 7.0 and 8.0 blank if they didn’t apply. We told you to include a statement about why these sections are not applicable. It’s important to remember that your submission looks like an incomplete submission without them. And you’re going to either get rejected or get asked to supply them. At this point, you’ve made it halfway through your 510(k) submission. Give yourself a pat on the back and take a few deep breaths. The last half of the 510(k) submission is going to go one of two ways – easy or hard. Have you kept up with design controls documentation, risk management documentation, and establishing a quality management system? If not, then the last half of the submission could be rather difficult and time consuming. If you have a quality management system and have been documenting your design controls and risk management as you go, it’s going to be a whole lot easier. The second half of the 510(k) submission starts with another summary. 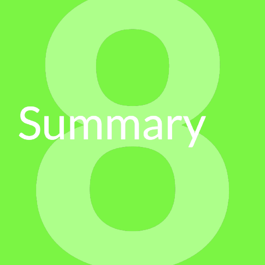 Section 10.0 – Executive Summary should describe your medical device, concisely compare it to the predicate device, and summarize all of the testing you’ve done. The 510(k) Summary you wrote in Section 5.0 is going to contain a lot of the same information. The big difference is that the Executive Summary is not released on the internet after substantial equivalence determination has been made. That means you can include a more detailed summary on what testing has been performed. After the Executive Summary, each section is going to be a lot more detailed. Luckily the FDA eases you into this by asking for the device description – again. You might be wondering why you have an entire section devoted to the device description, when you’ve already included it in at least 3 other sections by now. Remember how I said each section is going to be a lot more detailed? It starts now. Section 11.0 – Device Description is not just the brief description you’ve been using over and over again. Remember all those design controls you have been documenting? We’re going to be pulling up the design history file and design controls contents and printing out copies from here on out. From your design outputs, grab the detailed drawings (complete with dimensions and tolerances) for each device, accessory, and component. Does any part of your device come into patient contact? You’ll want to list those components and include the material specifications. If there are any applicable device-specific guidance documents, make sure you any of the requirements in the device description. The device description section gets the FDA reviewer intimately familiar with your device. 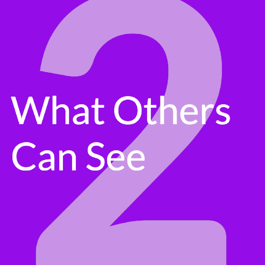 It sets the stage for Section 12.0 – Substantial Equivalence Discussion. The basis for the 510(k) submission is to show that your new device is safe and effective, because it’s a lot like another device that’s already been reviewed and cleared by FDA. It’s time to essentially go step by step through the devices and show how the indications for use, technology, and performance are the same or equivalent. Seeing as the Executive Summary included a table comparison (from Section 10.0), I’d recommend starting there. Create an easy to read table that specifically calls out indications for use, technology, and performance. Please don’t include ridiculously long paragraphs of details in the table. Keep it short and to the point. Make it easy for your FDA reviewer to find the information they need. I started out Group 4 telling you that documenting design controls and risk management will make your life a lot easier. This is absolutely going to be the case from here on out. 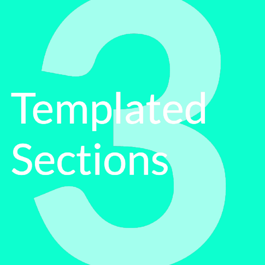 Section 13.0 – Proposed Labeling is going to be pulled straight from your design outputs. Grab a copy of your device label, but don’t stop there. Labeling is more than just the label. It includes your device label, your instructions for use (IFU), package insert, and any patient labeling. While this should be your final version, it’s a good idea to expect some changes to come during the review and approval process. In the next few section, we’re going to start getting into the testing required for your 510(k) submission. As we start to go into more details on what’s required, keep a couple of things in mind. First and foremost, if a section isn’t applicable to your device, don’t just skip it. You need to include the section and a brief explanation stating why it’s not applicable. Second, when presenting test results, include both the protocol and the report. The FDA wants to see the results of the testing. Without reports, there’s no proof that your device is safe and effective. The first section on testing is Section 14.0 – Sterilization and Shelf Life. If your device is non-sterile, very clearly state that. Don’t assume that because your labeling said non-sterile, you can just ignore it here. At this point, after repeating the device description and indications for use multiple times, you might have noticed that the FDA is okay with a little repetition. Also included in this section is the shelf life testing. Why include the shelf life and sterilization in one section? Shelf life and sterilization often can go hand in hand. If your device is sterile, part of proving the shelf life of the device is proving that the device is sterile at the end of the shelf life and that the device still performs as expected. It’s important to note, that shelf life testing is not always applicable. There are some instances where the product has a very low chance of time degrading the performance. Do realize that if you plan to make a shelf life claim, you will be expected to support this with applicable product testing to demonstrate performance over the stated shelf life. This often includes accelerated age testing. After sterilization and shelf life comes Section 15.0 - Biocompatibility. If you’ve got anything that’s in direct or indirect patient contact, this section is important. In the FDA Refuse to Accept (RTA) checklist, it very clearly states that you need to include the protocol and reports. And that’s if your device is identical (in both material and manufacturing) to the predicate device. Essentially, you need to include biocompatibility testing, because unless you are the legal manufacturer of the predicate device, the chance of you knowing the exact manufacturing processes is pretty slim. There are going to be quite a few of you who are going to completely skip over this Group. If your device doesn’t have any software or electrical components, feel free to skip the Group, just make sure you don’t skip the sections entirely in the 510(k) submission. For the rest of you, these sections are going to be very important. If your medical device has software/firmware, then you’ve likely heard the term “level of concern”. 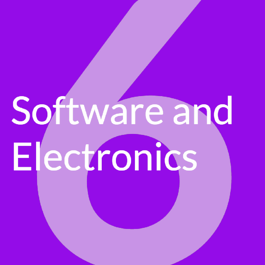 Section 16.0 – Software is going to start off with the level of concern and your rationale behind it. The rest of the section might feel a little like its own 510(k) submission. In fact, it even has its own special guidance document: Guidance for the Content of Premarket Submissions for Software Contained in Medical Devices. In general, you’re going to talk about the requirements, specifications, risks, and verification and validation activities. The higher the level of concern, the more documentation you’ll need to include. If you’re looking for more help and guidance on this, you’re in luck. IEC 62304 is recognized by the FDA (always remember to check the recognized standards list as the status could change). It provides an excellent framework for the entire medical device software lifecycle and incorporating a risk-based approach throughout. The contents of Section 17.0 – Electromagnetic Compatibility and Electrical Safety will depend on your device. If you’ve got electrically powered components, regardless of whether those components are in patient contact or not, you’re going to need to evaluate its electromagnetic compatibility (EMC). In laymen’s terms, you’re looking at whether your device interferes with other devices (either deliberately or accidentally) or can be interfered by other devices. It’s like proving your device is an island. The good news is that there’s a recognized standard for the EMC testing, IEC 60601-1-2 Medical Electrical Equipment -- Part 1: General Requirements for Safety; Electromagnetic Compatibility -- Requirements and Tests (Fourth Edition). There are also a ton of companies out there who are able to take care of the testing for you. The other part of Section 17.0 depends on whether the electrically powered components are in patient contact. 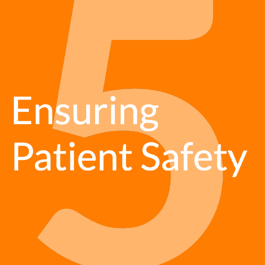 If they are, you need to prove the device is safe for the patient. Once again IEC has come to the rescue. IEC 60601-1 Medical electrical equipment - Part 1: General requirements for safety and don’t forget AAMI ES 60601-1, edition 3.1 (2005 + A1:2012). Wondering whether or not you should even bother with those parts IEC 60601 for the EMC and Electrical Safety testing? Have you checked out the RTA checklist? It very clearly states that you’ve done testing to those standards and then gives you an out by adding the words “or other FDA recognized standard”. But did you check out the list of recognized standards? Unless your device is an active implantable device or a wheelchair, you don’t really have any other choices. You’re in the home stretch when it comes to preparing your 510(k) submission – the performance testing sections. The next three sections are going to be variations on the same theme, the testing you did to support the performance characteristics. 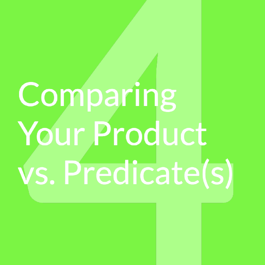 Part of proving substantial equivalence is comparing the performance characteristics of your device to the predicate device. These sections are where you include all of the proof for the comparison you did in Section 12.0. It’s important to keep in mind that not all of these sections are mandatory, just like all of the other sections in the submission so far. For example, just because there is a section titled Performance Testing – Clinical, does not mean that you have to do clinical testing for the submission. No matter which section you’re working on, there are some general things to keep in mind. Each section should have a description of the protocol, a summary of what the results are, how you analyzed it, and what the conclusion is. The protocol needs to spell out what the goal of the test is (objective), the number of devices (sample size), how you’re going to do the testing (test method), what thing you’re testing (study endpoint), and what the results should look like (pass/fail criteria). The results should be very clearly and concisely stated. What about all that raw test data? Do not stick in the middle of the report. If you feel it is necessary to include raw test data as part of your submission, put it in an appendix. Hopefully you were following the design control requirements laid out in 21 CFR Part 820.30 and compiling these sections is going to be nothing more than printing out your design verification and validation test protocols and reports. First up is the bench testing, Section 18.0 – Performance Testing – Bench. Depending on your role in your organization, this may have been what you spent the bulk of your time focusing on. 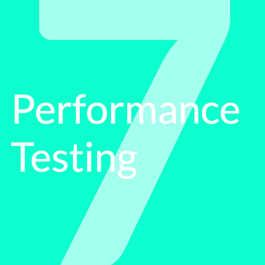 There’s even a good chance that at least some of the bench performance testing was done in-house – maybe even by you. This section will likely contain the majority of your design verification and validation testing. Section 19.0 - Performance Testing - Animal and Section 20.0 - Performance Testing - Clinical might not be applicable to your 510(k) submission. You are not obligated to do animal and clinical testing. If you do need to perform animal testing, the FDA branch responsible for reviewing your 510(k) submission is available to provide guidance. One great option for getting feedback is the pre-submission process (Q-Sub). Another way to determine what animal testing is required is to follow any applicable guidance documents. As for clinical testing, the FDA will always consider alternatives to clinical studies when the proposed alternatives are supported by an adequate scientific rationale. If you determine clinical testing is necessary, make sure you are following the applicable regulations. The first step will be to determine if your study is significant or non-significant risk. If your study is determined to be significant risk, you’ll need to conduct the study under the IDE regulations (21 CFR Part 812). If not, there are abbreviated requirements in 21 CFR Part 812.2(b). Regardless of the risk level, if you are sponsoring a clinical trial, you must comply with the regulations governing institutional review boards (21 CFR Part 56) and informed consent (21 CFR Part 50). Congratulations! You’ve made it through compiling your entire 510(k) submission! Grab your favorite beverage and celebrate. While it may have seemed impossible at the very beginning, you’ve got it all ready to submit. The very last thing you should do before you submit your 510(k) is grab the Refuse to Accept (RTA) checklist. Go through the RTA checklist and write down the page numbers where everything can be found. If you notice anything is missing, this gives you the chance to add it. It will also make it a little easier for your reviewer. Be nice and include a copy of the completed checklist with your 510(k) submission. Need additional help preparing your 510(k)? Need help getting your design control, risk management or design history file documentation in order? Still don’t have a quality system in place? Click here for a free consultation to see how Greenlight Guru's team of industry experts + software may be able to help.